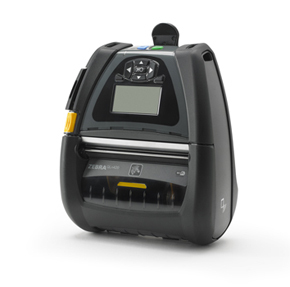 The QLn420 direct thermal portable printer from Zebra frees you from traditional label/receipt print stations, ideal for locations where space is a premium or products are too numerous to move for relabeling. Rated at 4 inch per second print speed, the QLn420 prints labels and receipts up to 4.09" wide. 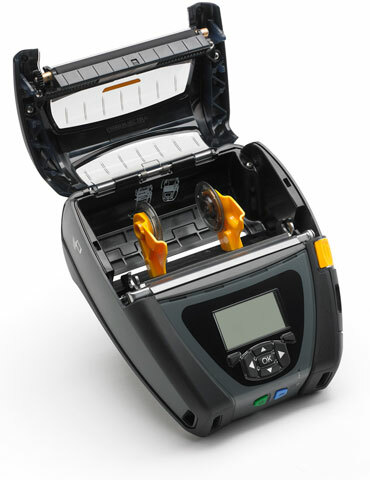 Models come with USB and Serial interfaces standard, with the option of communicating via Ethernet, Bluetooth or 802.11b/g. Dimensions (W x D x H): 6.5" x 3.25" x 7.35"
Label and liner width: 2" to 4.12"
Thickness (label & liner): 0.125" to 0.295"